Heterogeneous phenotypes of cancer cells enable them to adapt to various environments. The heterogeneity results from diversity of genome, transcriptome, and epigenome at a single-cell level. The C1 system can automatically perform single-cell capture and whole genome amplification (WGA) or whole transcription amplification (WTA) by MDA or Smart-Seq, respectively. Here, we describe the protocols for WGA and WTA from a single cell by using the C1 system and the protocols for sequence library preparation from amplified gDNA and cDNA. 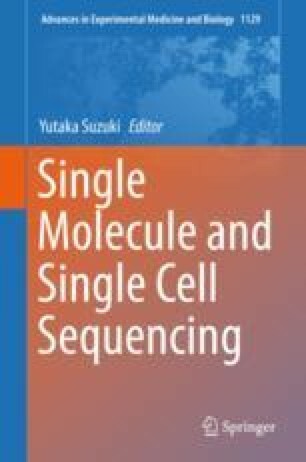 We also described about the computational analysis for single-cell data of cancer. We would like to express our gratitude to Y Kuze, T Horiuchi, K Kunigo, Y Ishikawa, and K Imamura for helpful advice in writing this manuscript. This work was supported by MEXT KAKENHI Grant Number 221S0002.